It's Cyber Monday and apparently this lunchtime we will all be doing our Christmas shopping online. In case you are hunting for presents today here are some of our favourite maths books. 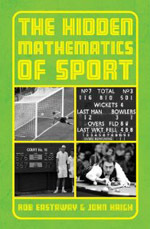 Clearly and interestingly written, humorous and varied, requiring only a minimal familiarity with math, The hidden mathematics of sport is a pure pleasure to read. It contains an impressive array of mathematical topics, much broader and more unusual than standard findings about the statistics of sports or the equations governing the motion of projectiles. 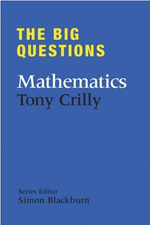 With twenty skillfully written essays Tony Crilly paints a broad-stroke picture of modern mathematics, focusing on some of the most exciting topics. This book is intended for people whose acquaintance with mathematics is limited to their high school years, but who want to know "what all this fuss is about". It is ideal for those who have heard that mathematicians talk about imaginary numbers and unbreakable codes, and want to know how much of it, if any, is true. This is an excellently researched and well-written book. It distinguishes itself from the body of popular science books by interspersing and motivating the mathematics it contains using stories, interviews and conversations with a variety of people, ranging from mathematicians and linguists to mystics. 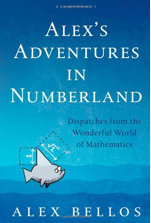 The result is a mixture of journalism, travel literature and mathematical history that will have a much wider appeal than many other accessible texts on mathematics. Ian Stewart's latest book guides us through the recent collision of mathematics and biology. 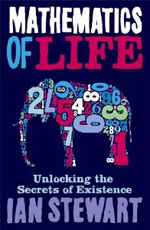 This is not a book about mathematics with a bit of biology sprinkled on afterwards – Mathematics of life weaves a history of biology with examples of how mathematics can help solve the unanswered questions that were created along the way. Mathematics, Stewart argues, will be the next biological revolution. This book is a mixture between an encyclopedia and a collection of intriguing ideas. In some sense, it's a plain English encyclopedia of maths, embellished with some examples for entertainment. So whether you're trying to get at the "true" meaning of something textbooks only define using passionless symbols, or are looking for a little diversion before going to sleep, this book can give you both. What are your favourites? Tell us in the comments below! 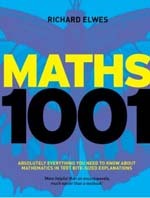 On this website (http://popsciencebooks.com/category/mathematics-2) there are also a couple of interesting math books.